The Old Coach House01263 715779work01603 870304fax Self-cateringThis single storey characterful cottage offers shared use of an outdoor heated swimming pool between May and September. Set in the village of Cawston, with amenities including a shop, butcher, cafe, restaurant and pub it is only 12 miles from the city of Norwich or the coast at Sheringham. • Other: Linen and towels provided. This single storey characterful cottage offers shared use of an outdoor heated swimming pool between May and September. 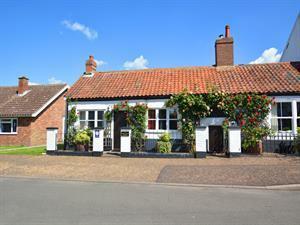 Set in the village of Cawston, with amenities including a shop, butcher, cafe, restaurant and pub it is only 12 miles from the city of Norwich or the coast at Sheringham.